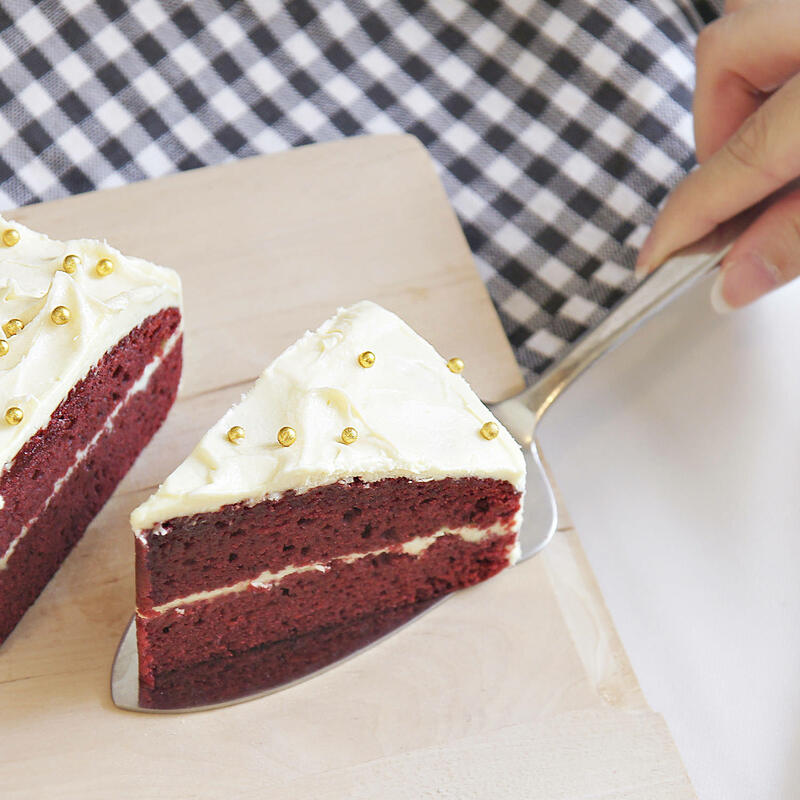 This luscious red cake was the rage of the 1920s and has surged in popularity again. Paired with our delicious cream cheese white chocolate frosting, it's no surprise it's a best-seller! This cake tastes best at room temperature, so take it out of the fridge 1 hour before serving. Mini-sized cakes are available off-the-shelf. Kindly order regular-sized cakes 1–2 days in advance. For greetings to be piped on cake, kindly let us know 1 day in advance. 1.5 kg and larger cakes are round in shape, but can be made square-shaped upon request.